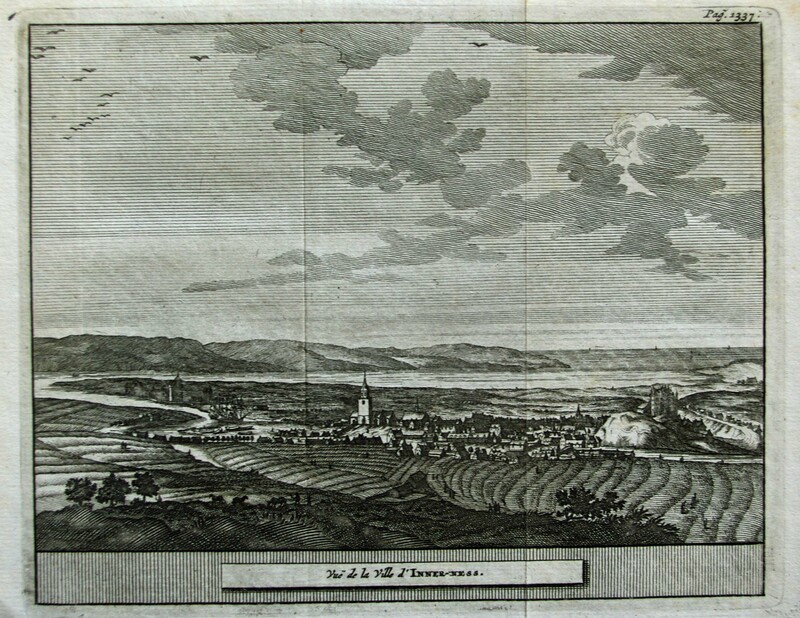 Vue de la ville d'Inner-ness (Prospect of the town of Inverness). Image area 15.7 x 12.4 cms. Probably Peter Van der Aa c. 1707 from James Beverell's 'Les Delices de la Grande Bretagne'.